It wasn’t too long ago that hotmail and other web-based(?) mail programs were used to sign into/up to various ‘sites’ on the web because we didn’t want the world to know our real name or real statistics; we wanted to be a part of the fun, but not to endure targeted ads or ‘helpful’ improvements designed specifically for us through the use of algorithms and whatnots to ensure our experience is as rich and full as they want it to be. Now hotmail (and others) insist on ‘knowing’ who/m is using their services. 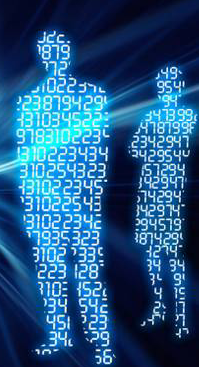 They want a verification that you are who/m you say you are and you have only ONE account associated with any given phone number. Whoa… wait a minute! Back the train up here. PHONE number? When did I agree to offer a phone number? As far as I can tell, it is MY choice whether or not I wish to ‘verify’ my account(s). And, as far as I can ascertain, they have not changed that stipulation. Oh, but wait! Yes, now they need to verify you so they can alert you if anything untoward happens to your account, or if someone hijacks it and begins using it for nefarious purposes. So far, the only one hijacking my VERIFIED ALREADY account(s) are/is the conductor of the site itself; yup, Microsoft. When I signed up to hotmail I wasn’t as web savvy as I am now (and that ain’t sayin’a whole lot!) and I happily punched in all my ‘real’ info; yup, even verified with a phone number. And since the induction of Windows 8, and subsequently 8.1, I have been requested three times to re-verify my account(s). I no longer care to share my ‘real’ info with them if they cannot keep it safe during upgrades. 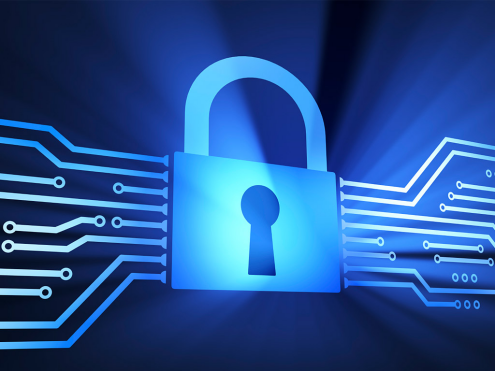 Why do they ask us to verify if they are not going to store the information permanently? Stop right here if you want to read something that makes sense. Stop here if you want to read something that is happy and light. This is an angry, p*ssed as H*LL blog that I need to plonk down before I flippin’ explode! Is anyone else experiencing the friggen nightmare of VERIFYING your accounts? I VERIFY when I sign in – up; WHY do you need me to do it EVERY TIME MICROF*CKINGSOFT UPGRADES??? I have no ZERO e-mail accounts I have access to. Yup: ZERO. Well, okay, as of RIGHT now, I have TWO, and they exist because I created them not more than… well, probably an hour ago. Am I happy about this? Oh yah, thrilled; tickled pink; couldn’t be happier… I’m a damn fine liar, aren’t I? I now have the FUN of going into ALL of my accounts that used my e-mail and changing THEM; at least I can still do THAT… for now; I’m sure once Microsh*t reads this (cause, yeh, they’re going to… *rolls eyes*), I’m sure they’ll find a way to make me verify before I can switch. I don’t know if this has to do with HeartBleed or not; frankly I don’t give a sh*t; this started with the download of 8.1 and has been the same nightmare that their ‘highly-touted’ Vista produced… anyone wanna bet that 8.1 is just VISTA re-packaged and shoved down our throats? Comments Off on Did I write this? 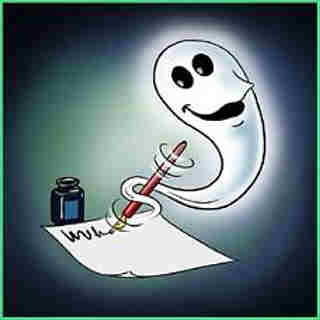 You may well wonder with the number of ‘ghost-written’ blogs being presented. You know, ghost-writers? People who will, for a fee, write an article on any subject for another person to take credit for. Ghost writer. There’s nothing wrong with this, per se, sometimes we go on vacation or are hospitalised and we don’t want our readers to be aware of our ‘disappearance’, so we hire a writer to bring a subject to life and dazzle our readers; the difficulty I have in this, is it’s not being honest. Our readers think we are brilliant (do so! ); they have come to enjoy our take on life not just to read for reading’s sake! (Or, at least I HOPE that’s how you come to read my stuff…) I’m not speaking of guest bloggers, those are awesome and bring a different outlook, (usually); a refreshing view, if you will. No, I’m speaking of those who, with a little manipulation and understanding of algorithms and ‘key-words’ pay writers to come up with original content to wow or impress their readers, only it’s not THEM who is/are doing the impressing. It’s cheating, and I’m not a fan. I read blogs because I want to hear other opinions and get new ideas, not to get ‘high ranked words’. I like to hear a ‘voice’ come through, and having ghost-writers avoids the personality and just spits out regurgitated mumbo-jumbo. I have recently taken on a few of these assignments, to ghost-write blogs for those without the time or ideas to fill their daily requirement and I must say they are a rude lot! They demand a certain length for a paltry fee, and let you know that it will be unacceptable if it comes in at this length. They actually want it longer, but aren’t willing to cough up extra pennies to pay for the work. They also are cagey about requesting the use of ‘key’ words. This is when you are aware you are writing for a client who is a taker. Someone who has figured the system out well enough to earn an income off of people simply clicking ad buttons on their blog that only reflects the top 100 ‘key’ words, although, the content might be great. So WHY do I (and other good writers) do it? The money. I need the extra income due to some interesting developments in my personal life. (Nope still married, sorry dudes…lol). Others may want a vacation and sales give them disposable income; others may find expenses mounting and need the income; or an unexpected bill (my case). I’m not knocking the practise; just …why not admit: Written by… For…; would it be so wrong? PS: Yep, I wrote this… think I ought to hire someone else? I really, truly do. It would make life so much simpler and would ease anxiety levels tremendously! It seems everyone wants a piece of us. Well, truthfully they really ONLY want a piece of our pay envelope, us they couldn’t care less about. It’s just that we, unfortunately stand between our pay packet and those greedily sucking it dry. I mean, sure, it’s blunt and would scare me away, but, it’s TRUTHFUL, unlike most of the policies which are mired in legalese and ambiguous statements. “Google Play”: Special legal privacy protections for users may apply in cases where law enforcement or civil litigants ask Google for information about what books an individual user has looked at. BUT, it’s this statement below that makes my blood boil (and should ‘tick-off’ everyone). You give me a ‘freebie’ I don’t ask for and tell me my computer experience will not be as enriching if I choose NOT to use it and yet don’t GUARANTEE the product is safe; DON’T guarantee it’s conducting itself in a way that is inline with your policies; and suggest I ‘check out their policy’ before using the product??? If a product comes PRE-INSTALLED WITH ANOTHER ONE, I DON’T CARE IF IT IS FROM A THIRD PARTY – YOU BETTER BE DAMN SURE YOU GUARANTEE THE PRODUCT FULLY!!! IF YOU DON’T TRUST IT, WHY THE HELL SHOULD I??? Sorry for yelling (and swearing) but I’m hoping program developers (particularly Google’s) are listening. I know they are not and don’t care about my concerns – heck, if you want to be private, don’t use the internet, right??? Such a cop out. Have fun and say “hi” to the authorities as you pass them lurking along the information highway greedily misdirecting traffic; tell them I say ‘hi’, too… ‘cause I’m not speaking to them! Comments Off on Guess what I made? Struggled opening package; what is this plastic made of anyway? Use scissors. Try to pull only two out (suggested serving size), four tumble to the counter. Push two into toaster; two back… back! Back I say! Back… in package. Tossed remainder in kitchen freezer. Set toaster to high (it doesn’t brown all that well any more) and push ‘frozen’ button. They are HOT when the pop – be careful!!! Decide to coat waffle in jam; one in raspberry, the other in strawberry. 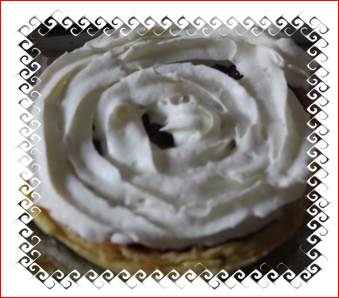 Tilt head, grin and… swirl whipped cream on top of jam! Actually a really satisfying, FAST dessert to finish off practically any meal, ‘cept maybe breakfast…? LOL. Thinking the addition of chocolate drizzled over top of the whipped cream would have been perfect. Well, at least I have something to look forward to! And for a ‘fancy-shmancy’ dessert add some toasted almonds or fresh berries! 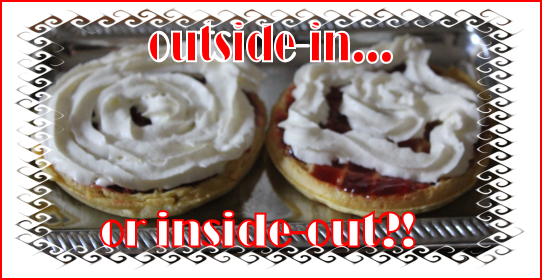 I think I’m going to keep some frozen waffles in my freezer and whipped cream in my fridge! 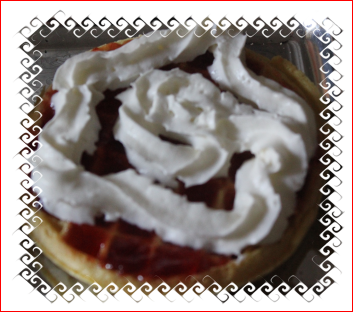 PS: Store bought waffles tasted okay; don’t know how they’d taste with syrup… Store bought whipped cream needs to be served and eaten quite soon after spraying. Falls within 15-minutes… Still, I suppose, if I had fifteen minutes I would have made home made waffles to start with! Okay, you got me; I had 15-minutes to spare… I was looking for a quick ‘snack’… this just happened! But if you don’t have time to spare, or burned the dessert for the dinner party… I think it would make a quick save!